Can y'all believe that it is almost spring? It was a long winter and I am ready to show y'all some fun mason jar crafts that are Easter themed. Sit back and check out these 15 Easter mason jar crafts. You have plenty of time between now and Easter to make one or more of these creations. Thank you for listing my Vintage Easter Mason Jar project here! 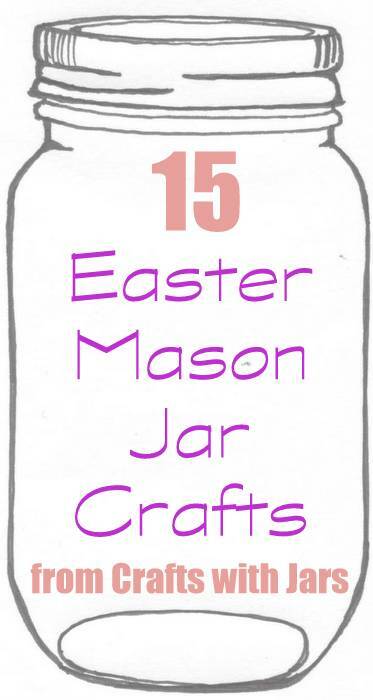 Just an FYI I have a post for 3-23-14 for an Easter Bunny Mason Jar if you want to check it out.